and A Miracle of Saint Donatus of Arezzo, from the Worcester Art Museum, Massachusetts—that once belonged to a large altarpiece, the Madonna di Piazza, in Pistoia, Italy. These works have been documented as a commission to Verrocchio and were supposedly executed by another of his apprentices, Lorenzo di Credi; however, both paintings are, in one case entirely and in the other in large part, the work of the young Leonardo. 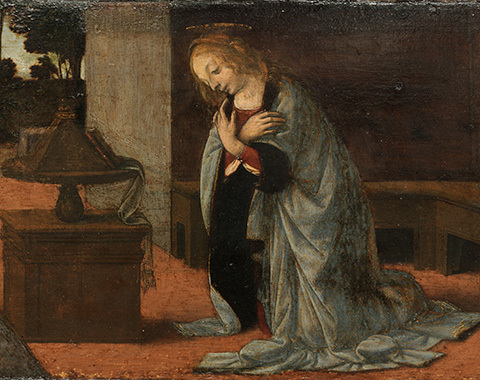 A selection of sculptures, cassone panels, and other paintings lent by international public and private collections—which have each been variously attributed to Verrocchio, Leonardo, Lorenzo, or other lesser-known artists—offers additional points of comparison, helping to clarify the personality of each artist and shedding light on the depth and nature of collaboration in Verrocchio’s workshop. To preview the publication, use the arrows below. 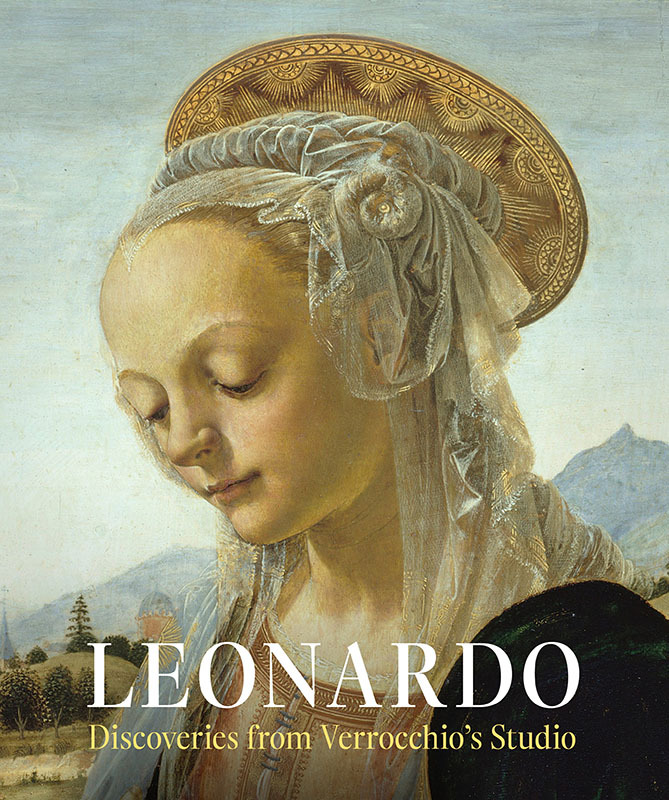 This groundbreaking reexamination of the beginnings of Leonardo da Vinci’s life as an artist suggests new candidates for his earliest surviving work and revises our understanding of his role in the studio of his teacher, Andrea del Verrocchio. Anchoring this analysis are important yet often overlooked considerations about Verrocchio’s studio—specifically, the collaborative nature of most works that emerged from it and the probability that Leonardo must initially have learned to paint in tempera, as his teacher did. The book searches for the young artist’s hand among the tempera works from Verrocchio’s studio and proposes new criteria for judging Verrocchio’s own painting style. Several paintings are identified here as likely the work of Leonardo, and others long considered works by Verrocchio or his assistant Lorenzo di Credi may now be seen as collaborations with Leonardo sometime before his departure from Florence in 1482/83. In addition to Laurence Kanter’s detailed arguments, the book features three essays presenting recent scientific analysis and imaging that support the new attributions of paintings, or parts of paintings, to Leonardo.